Home > Video and Audio Tips > How to Easily Download Torrent Files with IDM? Today we will share with you a few methods about how to download torrent files with IDM. Most of you are probably aware of the fact that the best download client for Windows IDM is Internet Download Manager. It can split your file into multiple parts to increase your downloading speed. Although respectively, torrent is one of the easiest ways to simply download your favorite files. It is clear that not all torrent clients like uTorrent, BitTorrent are as good as IDM even though it’s convenient for you to download movies from BitTorrent files when you are away from your home computer. So today, we will share some of the best ways to easily download your favorite torrent files via IDM. Tips: It’s common knowledge that most torrent sites were recently taken down but you can still easily access mirror sites of them without any hassle. 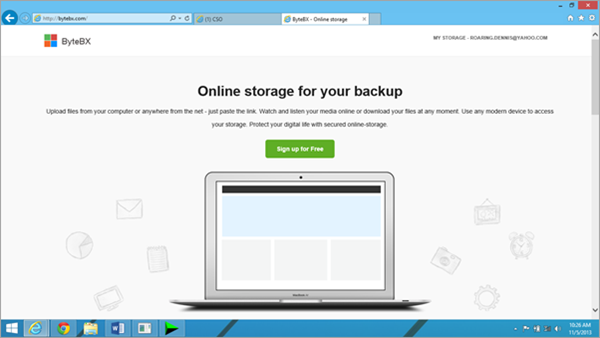 For instance, if you’d like to access the Kickass torrent site, then you can simply use Kickass mirrors. In numerous instances, due to a small number of seeds & peers, it is nearly unfeasible to download torrent files. In such cases, torrent to IDM converters work like a blessing. Therefore, in this article, we will list some of the absolutely best services which host torrent files and provide you with high-speed direct links to utilize. Torrent is a special meta information containing contents such as file name, size and location. It should be ideally noted that these files do not contain the files you wish to download. Torrent is utilized to readily distribute files and folders via the internet. In order to download files from the torrent files, you are required to have some sort of special torrent clients such as uTorrent, BitTorrent, etc. And you can further read about torrent at Wikipedia. Tips: After you use the torrent file to download your favorite movies, you can then convert the movies to any other video formats with this Video Converter. ZbigZ is without a doubt, the best torrent caching site which you can currently use. There are two versions of ZbigZ – the first one is free and the second one is paid which requires the user to hold a paid premium account. However, ZbigZ premium account is available on some sites for free. You can completely say that ZbigZ is the easiest method for converting torrent to IDM. Initially, you are required to download the torrent file which you wish to download with IDM. After obtaining your torrent file, open ZbigZ.com. 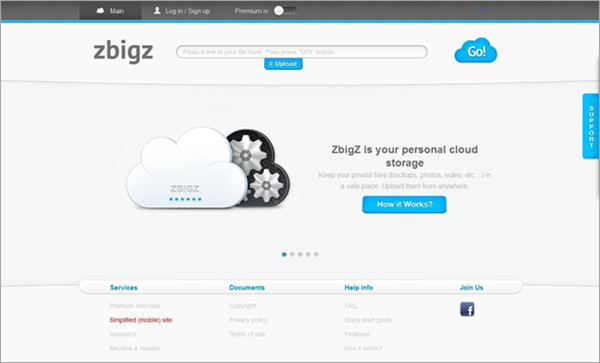 Sign up for an absolutely free account or get a premium account of ZbigZ. Click on “ADD NEW TORRENT”, next click on “Upload torrent file” and then click on “Go” after selecting your torrent file. Now, wait until the caching of your files is completed. After caching is fully completed, click on “Transfer”. And we’re done! Your torrent file will simply get downloaded in IDM. ByteBX is another amazing torrent to IDM converter site where you can easily download your favorite files in torrent. Similar to ZbigZ, this site has accurately similar versions for its visitors. However, you are required to buy a premium account of ByteBX to fully enjoy it. First of all, visit ByteBX.com. According to your needs, sign up for either the free or the premium account. Simply upload the torrent of your favorite files of which you are required to get a direct download link. Wait for ByteBX until caching is fully completed and it will simply provide you with the direct download link of the respective torrent file. 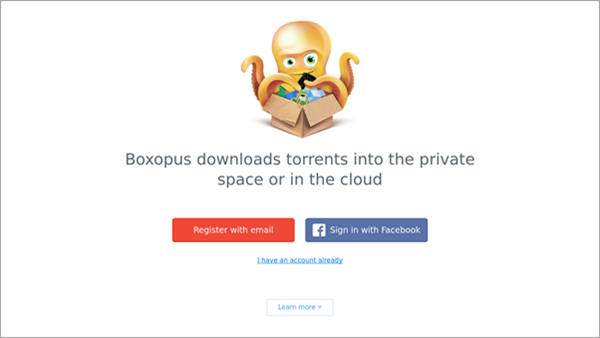 Boxopus is one of best torrent caching sites which upload all your torrent files onto their private servers which then easily provide high-speed downloads. The best part of this torrent caching site is that it readily provides all its services for free unlike to other torrent caching sites such as ZbigZ, ByteBX. Sign up for an account simply by using your e-mail or your Facebook ID. All you have to do is uploading your torrent files onto this site and wait until the cache gets properly completed. After caching is properly completed, download your torrent files in IDM with ease. Putdrive also provides you fully working direct download links of all your favorite torrent files. However, it has a few limitations. For example, you cannot download files whose size exceeds 10 GB. But users holding the desire to download their favorite videos, songs of a comparatively smaller size can make the use of this site without any hassle for the converting of torrent to IDM. Register for a free account on the site. Simply upload your favorite torrent files and standby until caching gets properly completed. Once the caching of the file is fully completed, download torrent file at high speed in IDM. 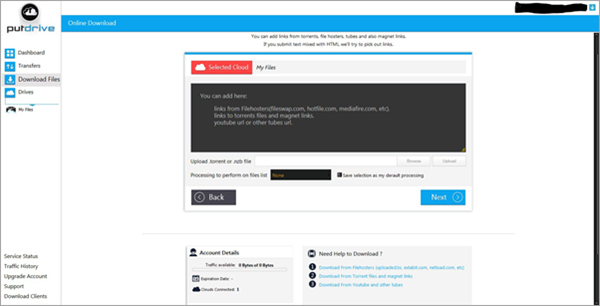 Torrent Handler is a state of the art torrent caching site easily downloading your torrent files onto their servers first, and then it provides you with a high-speed download link to your torrent file you desire to download by IDM. You must open Torrent Handler. Click on the “Sign Up” option. Log in your own account. Enter the respective torrent or magnet URL in the form and simply click on the “Download” option.